– Love, Ana. design studio creates wonderful things for your home! Bronze Award for best Professional/Office Category at International Design Awards! 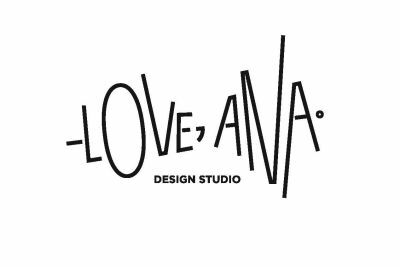 ‘-Love, Ana’ is a small product design studio and store whose designer products made exclusively by local craftsmen and only from materials available in our country. Products that we offer are designed by Ana Tevsic Naukovic with great care and meticulous attention to detail and, most importantly, love. They are handmade and appear in small series. Our design focuses primarily on the functionality of the product and leaving its form clean and simple. Our wood has no other finishing but a coat of natural linseed oil. This not only makes the products eco-friendly but it also promotes a deeper level of interaction between an item and its user. As the users care for their items by giving them an occasional coating of oil they develop a more meaningful relationship with them. The studio's work has been recognized internationally as much as in our native country. Several products were listed as Best Buy and Best New Products by magazines such as Elle Decoration, IDFX or Damn. The Traveller lamp received the 2015 AZ People's Choice Award for design excellence. The studio was the Bronze winner at the 2013 International Design Awards in the Professional / Office Category for Interior Design. The concept of the studio is to provide a place where you can learn more about the products we sell, but more importantly talk to the designer, work or just hang out. Its all-white interior and window change on a weekly basis making it more of a gallery than a shop as we search for new and fresh ways to communicate our products but also different moods and atmospheres. All of my products are created in small production series, which makes me involved throughout the entire production process. I hand pick the material and am included in all parts of the production. I work with several local craftsmen that help me bring my ideas to life, but this is basically a one-woman assembly line. Everything is produced and designed in Croatia.